Brienne of Tarth is not your typical maiden of Westeros, and now George R.R. Martin has revealed why. Brienne has not been blessed with luck in the Game of Thrones books or TV series, more often than not she is the subject of ridicule, but she certainly has a lot to be proud of. As reported by Esquire, Martin was reading a chapter from the ‘Winds of Winter’ in Baltimore when explained Brienne’s past. Brienne is actually a descendant of Ser Duncan the Tall, the famed seven-foot knight of Westeros. He lived nearly a century before the show’s timeline, but it was made known by Joffrey how highly the knight is regarded in the history of the seven kingdoms. Martin has previously written several stories of Ser Duncan -AKA Dunk- and his squire ‘Egg’, who would go on to sit on the Iron Throne. You probably know ‘Egg’ better by the name Aegon V Targaryen, brother of Maester Aemon. 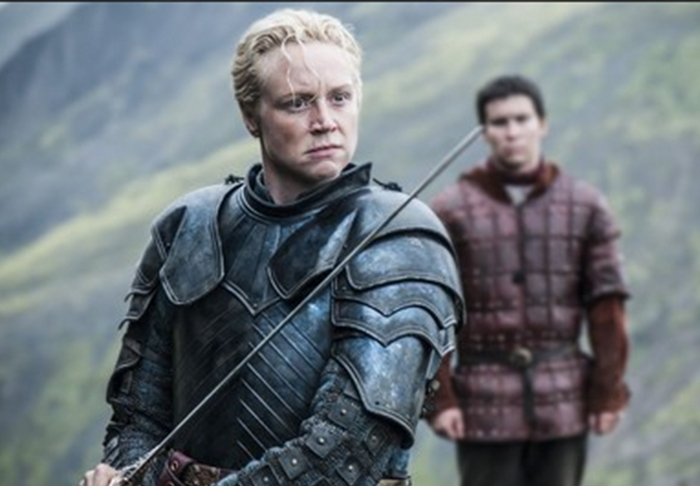 So Brienne has the blood of one of the kingdom’s most famed warriors, no wonder Tormund took a shining to her.